In the week that I resigned from my job to become a freelance journalist – that phrase makes my heart sing! 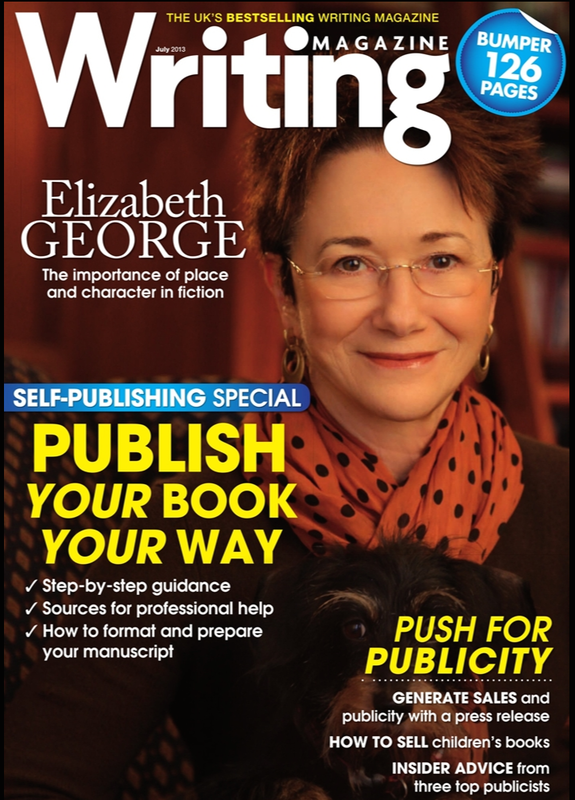 – I had a feature published in the July edition of Writing Magazine, the UK’s bestselling writing magazine. 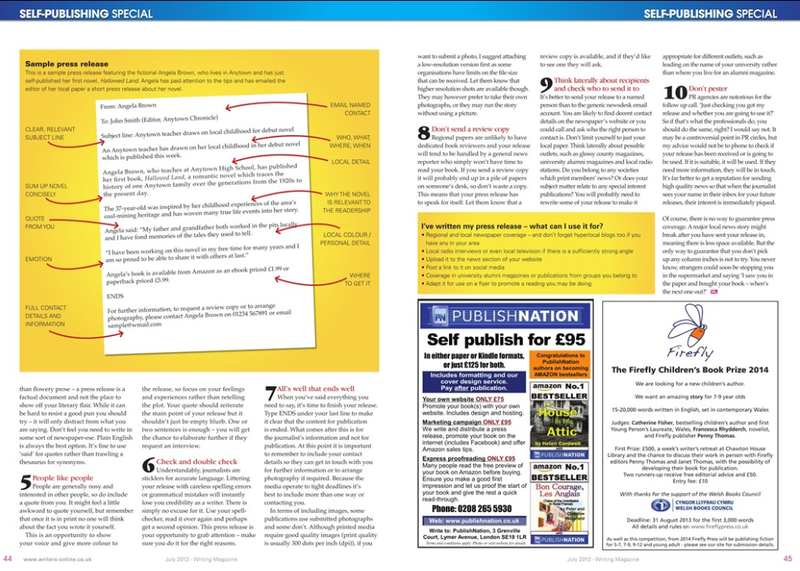 My feature “Read all about it” gives my top 10 tips for writing a press release to generate sales and publicity for self-published books, and includes a sample annotated press release and suggestions for other ways to spread the word. 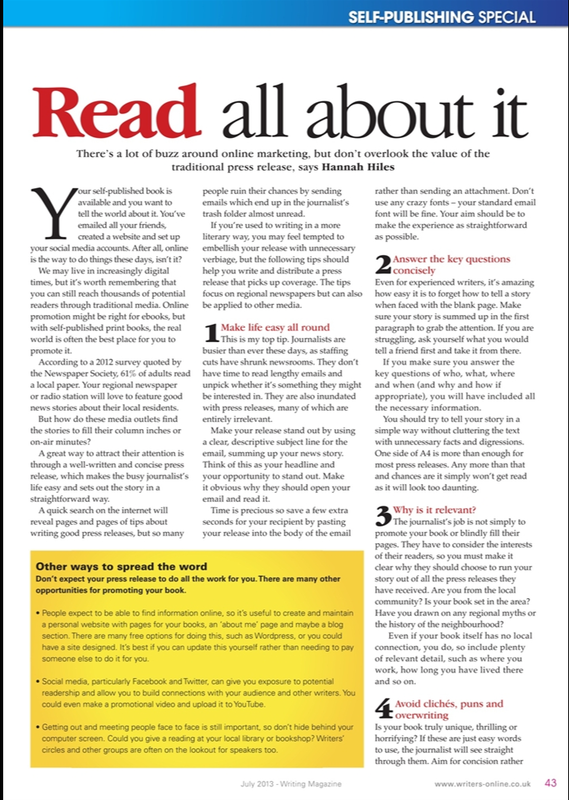 It runs over three pages and is part of the magazine’s self-publishing special. I was even more proud to see it included among the stories on the front cover! The magazine is widely available and can also be downloaded as a digital edition.